Slowly but surely The Wave Pictures are winning around Britain albeit via the increasing influence of American music on their albums. Over their last couple of releases they’ve picked up heightened attention thanks to the US influenced blues of City Forgiveness (2013) and last year’s Billy Childish collaboration Great Big Flamingo Burning Moon, featured a pair of Credence Clearwater Revival covers. The idea to huddle around one mic came from their long time friend and collaborator Darren Hayman. The bluegrass comparisons stop there though and although the trio are accomplished on acoustic instruments as they are in their usual amped up guise their ever so English lyrics and vocals of Tattersall still shine through. The result is yet again another great album from the trio, which is familiar but still refreshingly different. The songs are also great, Slick Black River From the Rain and the wonderfully titled Thin Lizzy Live and Dangerous are particularly standouts. So too is Tattersall’s transition from electric to acoustic guitar, where his solos continue to impress. 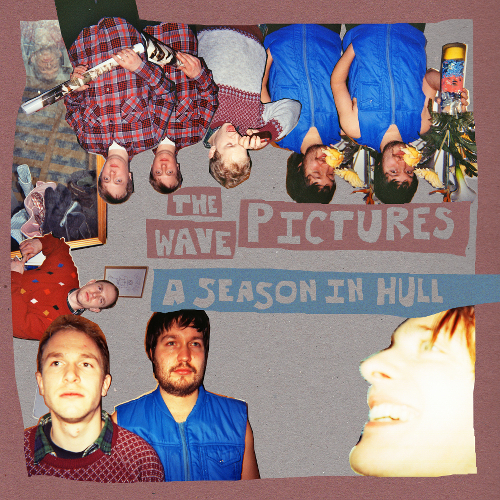 After more than a decade of recording and more than a dozen studio albums A Season in Hull shows that The Wave Pictures seem to love being in a band as much as they did when they first started.